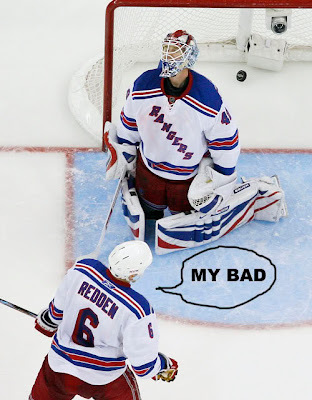 The Dark Ranger: Wade Redden On The Rocks? There is more room on defense, where Wade Redden is almost certain to be waived and sent to Hartford when training camp ends. "He's been discussed," Sather said. This is from a guy who writes for Newsday, remember, which is owned by the Dolan's and Cablevision. Like Staple or hate him, this is information he would be able to obtain; and he certainly wouldn't just spew that little quote out there for no reason at all. Especially since the Redden signing is an embarrassment to this team, and making a statement like this could make Newsday look very, very bad. So this holds some weight with me, even though I'm not believing in miracles just yet. Now this would be huge news, as camp will weed and filter out those that shouldn't be on the starting roster -- so there is hope Rangers fans, there is hope. I have a feeling there is much news ahead for us this week. My comrades in DARK, Graying Mantis and J_Undisputed will be covering July 1 - free agency day with ongoing commentary - so be sure to check in often as The Dark Ranger will be updated throughout the day, this Thursday!!! Ther's only one way to get rid of Redden, once and for all. 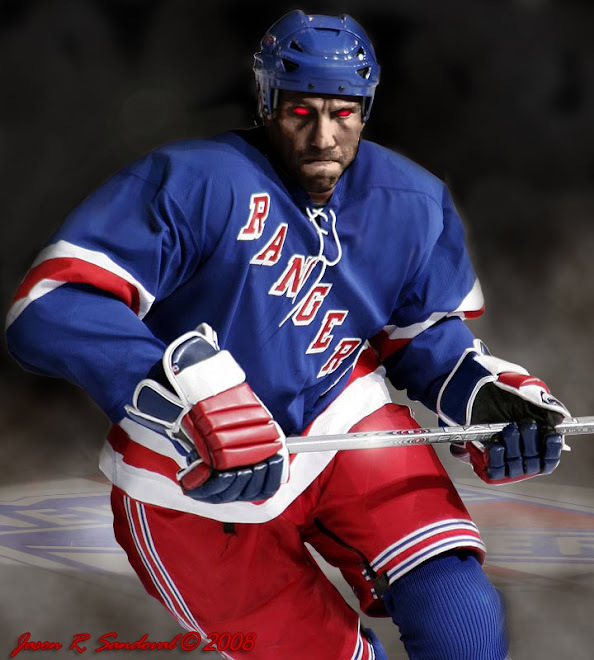 NYR's must Buyout!!! Otherwise burying him in the minors runs the risk of one day having to bring him up and being responsible for part of that 6.5Mill/yr.